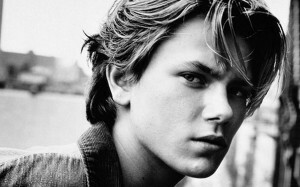 Actor and musician River Phoenix died from drug-induced heart failure in 1993. Only 23 years old, Phoenix had delivered intense, emotional performances in movies like Stand By Me, Running on Empty, Dogfight and My Own Private Idaho, and he was working on a film called Dark Blood when he passed away. That film will finally make its U.S. premiere at the Miami Film Festival during the first ten days of March. As heartbreaking as the all too short life is, his legacy will be revived this year at the Miami International Film Festival when director George Sluizer debuts Phoenix’s the final film. When Phoenix passed away in 1993, Sluizer’s Dark Blood was 80% completed, and the unfinished footage disappeared into a vault somewhere. But in 1999, when he learned that the remains would be burned “to make space,” Sluizer brought the film to the Netherlands. After a decade of stillness, Dark Blood was finally completed last year, premiering to a standing ovation at the Dutch Film Festival. Jet-set Hollywood couple Harry (Jonathan Pryce) and Buffy (Judy Davis) travel through the desert on a second honeymoon, trying to save their marriage. Their car breaks down in the middle of nowhere leaving them to find shelter in Boy’s (River Phoenix) beaten down shack, unaware they will become his prisoners. Boy’s wife died of leukemia after nuclear tests occurred in the desert leaving him alone and far away from society. Buffy is seduced by Boy’s honesty and vulnerabilities, while Harry represents everything Boy hates about the civilized world and its culture. Buffy decides to sleep with Boy to buy the couple’s freedom, but these circumstances will push Harry to the edge, leading to a terrible tragedy. Check out this trailer for Dark Blood. What’s your favorite River Phoenix film? 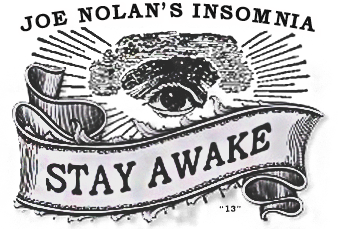 This article was posted in Cinema and tagged Dark Blood, Dogfight, drug-induced, Miami Film Festival, My Own Private Idaho, River Phoenix, Running on Empty, Stand By Me. Bookmark the permalink. Follow comments with the RSS feed for this post. Trackbacks are closed, but you can Post a Comment.